For this project Mr. P wants you to explore and better understand Newton's Laws of Motion. 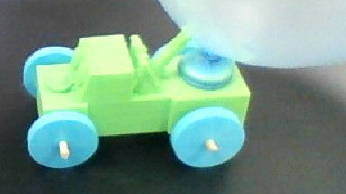 You will be tasked with having to design a 3D printable toy car that would be powered by a balloon. The car will be used as an example of Newton's 3rd Law of Motion. The design and building of these cars will have you use prior knowledge in all areas of building using Tinkered, math and other subjects to help support your build. OBJECTIVE: ​Students will demonstrate Newton's 3rd Law of Motion, examples of an energy transformation, and understanding of unit on pressure by completing an engineering balloon car design activity. What You Need: Cool Teacher Like Mr. P! - Wait the real list - 3D Printer, Balloon car designs, Bamboo skewers, balloons. 2. We will use bamboo skewers from the supermarket as the axles. They come in different sizes, the ones we used were 10 inches. They fit snugly into a wheel with a central hole 3.5mm in diameter. May need to glue them see me if this is an issue. 4. Work your design out using Tinkered.com making sure follow all the steps above. interfere with one another and the short wheel base will make it difficult for the car to move in a straight line. air pipe isn't intersecting the axle, etc. ​ the balloon won't stay and you'll need to tie it on. A twist tie works well for attaching balloons when necessary. the car. When released the air blowing out the back pushes the car forward.